Capacitors are found abundantly in electronic components, working as filtering devices. They vary in size and in the materials they are made from. There are 5 basic capacitor types-electrolytic, polyester, tantalum, ceramic and SMD. The capacitance is a value measured in micro Farad. The dielectric material within the capacitor usually displays the maximum operating voltage before damage becomes high risk. The electrolytic capacitor cannot be used or stored at temperatures higher than the maximum temperature, otherwise it may damage the unit. One thing to remember about handling these types of capacitors is that they can give you a lethal shock if they are not completely discharged. It’s also important to make sure the capacitor is connected according to its polarity. Low capacitance is what polyester capacitors are used for, despite high operating voltages. Capacitance is measured in pico Farad and can be used in AC or DC circuits. Tantalum capacitors are also used in low capacitance situations. The positive instead of negative terminal is marked. 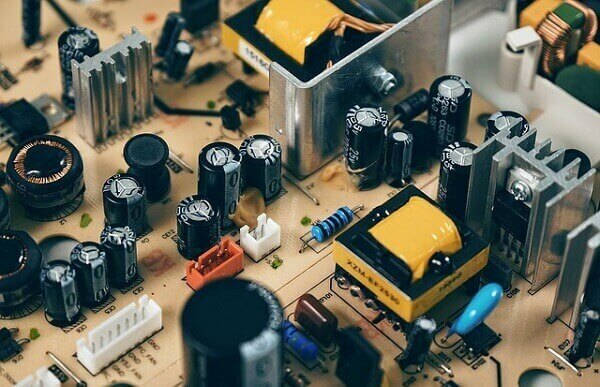 Unlike the electrolytic, the ceramic capacitor has no polarity, which allows it to be connected in various ways as it can be used for both AC and DC applications. This capacitor is also helpful for reducing noise and various filtering purposes. The capacitance value is measured in pico Farad. Surface Mount Device (SMD) capacitors are commonly found in many types of electronic equipment, particularly automated assembly equipment, and are usually grouped with resistors.